After reading untold numbers of Best Of and Top 5 (or 10 or 15) Books of 2018 lists in December and January, I feel compelled to add my two cents and compile a unique list of favorites from the past year. Circe by Madeline Miller, How Then Should We Live by Francis Schaeffer and Eleanor Oliphant is Completely Fine by Gail Honeyman would top my Best of 2018 list if that was how I was gonna roll with this post. But that’s not the way I’m rolling. I’m going to go in the Sleeper Hits of 2018 direction, a tradition I started last year that I would like to revisit (even though it’s the middle of February and 2018 is long gone). The term comes from the entertainment industry and describes a movie that becomes a big success despite a small financial investment, little promotion and/or slow opening success. I’m using the term to describe a book I expect will be good (or even great) but ends up exceeding all my expectations. Sleeper hits aren’t always 5 star books. They usually fall solidly in at least the 4 star category and are always a happy surprise when it comes to my personal enjoyment of them. Rabbit Cake by Annie Harnett, narrated by Katie Schorr. There is a special place in my heart for quirky kids trying to figure out the world while navigating difficult circumstances. Elvis Babbit is on of those kids. She tells the story of her quirky family’s grieving process after her mother dies in a drowning accident. This book is funny, sad and pleasantly weird. The tone reminds me of The Bellweather Rhapsody or the movies Moonrise Kingdom and Little Miss Sunshine. I listened to this as an audiobook which I’m sure enhanced my enjoyment of it. Katie Schorr does an excellent job with narration. You absolutely believe you are listening to a curious and observant twelve year old girl. The Blue Sword by Robin McKinley. This YA novel has all the components of a fun fantasy/adventure: interesting characters, a well developed setting, a journey of self discovery and growth through adversity, an epic good versus evil battle, a bit of romance, and, of course, magic. And, the main character is a heroine. It’s a quick read and total escapist pleasure. In the right directorial hands, I think it could be a fantastic movie. The Sisters Brothers by Patrick deWitt is a weird and often very funny Western about two hitman brothers, narrated by the contemplative and compassionate brother, Eli Sisters (I loved him!). There is a dream-like quality to this story that made it feel like an epic but quirky myth or parable. That alone would be my reading jam but the unusual characters, strong writing and tidy ending (which I really loved here) cinched The Sisters Brothers as a Sleeper Hit. Plus, that cover art! One caveat – this is a Western about hitmen. As you can imagine, there is violence aplenty so consider yourself warned. When We Were Worthy by Marybeth Mayhew Whalen. This book explores grief, faith and relationships in a small town after a fatal car accident involving four cheerleaders. There are several secrets revolving around the accident that creates a surprisingly compelling storyline. Although there is tragedy and sadness, the resolutions are uplifting and positive; it’s sappy in the best kind of way. I also felt that the Christian faith was treated realistically and fairly. When We Were Worthy won’t win the Pulitzer, but it was a satisfying way to spend my time. Norse Mythology by Neil Gaiman. Neil Gaiman’s retelling of the Norse myths are modern, accessible and funny. I enjoyed them so much! Allow me a disclaimer here, though. I had the pleasure of reading Norse Mythology while I was traveling in Iceland last summer which added significantly to my reading pleasure. There were so many nods to Norse mythology throughout Iceland, i.e., the Bifrost sculpture at Keflavik airport and Thorsmork (Thor’s Valley). I don’t know if I would have enjoyed this book half as much if I hadn’t been reading it after long days of adventuring in the land of fire and ice. Jurassic Park by Michael Crichton, narrated by Scott Brick. What a great book! I enjoyed it even more than the movie, mostly because I appreciated the more detailed look at chaos theory presented by Ian Malcolm which is only superficially addressed in the movie. The plot is propulsive; I was compelled to finish as soon as possible to out what happened EVEN THOUGH I ALREADY KNEW THE ENDING from the movie. That is a telling aspect of a great book. Jurassic Park isn’t high literature but it is a well researched and very enjoyable tale with a just a dash of mind tickling philosophy. Off the Clock written and narrated by Laura Vanderkam. Productivity and time management hold a weird fascination for me, (probably because I’m uber-afflicted with the planning fallacy) so this book caught my eye as soon as it was released. Instead of being a how-to for managing the minutes of your day, the book focused on making the time you have meaningful. Laura suggests being off the clock means making worthwhile memories, spending less time doing things that don’t have lasting meaning in our lives, and choosing things that do matter. I especially appreciated the better than nothing (BTN) concept, being a satisfizer rather than a maximizer (hello, perfectionist), and keeping track of how I spend my time to see were I’m wasting it. I can see myself returning to this book on the regular for a steady reminder to be mindful about the time I have at my disposal. The Lost Book of the Grail by Charlie Lovett , narrated by Charles Armstrong. Take a stuffy English scholar named Arthur Prescott, place him in a medieval town with a famous crumbling cathedral and ancient library and add a delightful supporting cast and a few mysteries related to Arthurian legends. The result is The Lost Book of the Grail. While not a page-turning thriller, it is a delightful mystery that focuses on character growth, friendships and Arthurian legends. It’s also another book with a seriously satisfying ending. I enjoyed taking my time with it. Born Standing Up written and narrated by Steve Martin. An intimate look at the professional development and personal life of one of America’s favorite comedians. Blessing Your Grown Children by Debra Evans. Chock full of wisdom for maintaining strong and supportive relationships with older teen and young adult children that I find myself returning to again and again. Now I can finally close the book(s) on 2018 with a satisfied conscience. Happy reading! Any Sleeper Hits you’d like to share? Please do in the comments below. The term comes from entertainment industry jargon and describes a movie that becomes a big success despite a small financial investment, little promotion and/or slow opening success. I’m borrowing the term to describe a book I expect will be good (or even great) but ends up being much better than I anticipated. Sleeper hits aren’t always 5 star books. However, they all fall solidly in at least the 4 star category and are always a happy surprise when it comes to my personal enjoyment of them. Of the 64 books I read in 2017, 8 books made it to my Sleeper Hits list. The books are a diverse group, covering a wide variety of genres, topics and geographical locations. It’s important to note I experienced about half the books on the following list in audiobook format. Listening to books read by gifted narrators with accents appropriate to the stories enhanced the reading experience for me and often played a vital role in bumping the books up to Sleeper Hit status. I loved all these books and am excited to share them today. Bellweather Rhapsody by Kate Racculia, narrated by Jessica Almasy (audiobook). I would describe this book as quirky, complex, and surprising. I don’t know if this is a YA novel with adult themes or an adult novel with a YA setting and characters. Either way, it works. Celeste Ng, author of Everything I Never Told You reviewed it on Goodreads and she describes the experience perfectly: This was one of the most fun books I’ve read in a long time. Sharp, witty, and full of flashbacks to the late 1990s–if, like me, you were an adolescent at that time, you’ll be giggling in delight. But lest you think it’s just fluff, there are weightier issues here as ballast, too: a teen struggling with his sexuality, a woman scarred by an abusive teacher who fears she’s become a monster herself, a father devastated by a long-ago tragedy. Oh, and two murders. It races along at a breakneck pace–I finished it in days–and Racculia pulls it all together in a very satisfying way at the end. If you loved The Westing Game as a kid, you’ll love this. News of the World by Paulette Jiles. After reading several glowing reviews, I expected this book to be fabulous so the fact it landed on my Sleeper Hits list is very telling. This is one of the best books I read all year. The story takes place in Texas during the Reconstruction era and follows the journey of an itinerant news reader in Witchita Falls who has agreed to transport a young German girl, who has been a captive of the Kiowa Indians for several years, back to her extended family in San Antonio. What makes this book unforgettable? Memorable characters who demonstrate growth, a strong sense of time and place, an interesting storyline with layered and complex themes, and beautiful writing. I don’t read westerns, ever, but this book changed that. I would love to see News of the World developed into a movie. If done right it would be visually stunning, action-packed, and emotionally satisfying. The Boys in the Boat by James Daniel Brown. This is another book I had very high expectations for. And, boy, did it ever deliver. The boys in the boat refer to the University of Washington’s 1936 eight oar rowing crew. 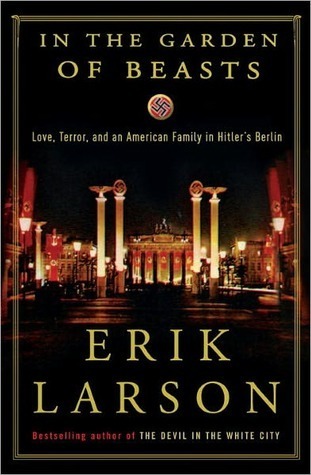 The book covers their quest to win the gold medal in Hitler’s 1936 Olympic Games. The content centers around the life of Joe Rantz, one of the rowers, and his personal drama as an abandoned child during the Great Depression and as a member of the crew. Filled with compelling characters, interesting historic details and thrilling narrative drive, I found this book to be unputdownable. (Is that a word?). This is a piece of creative non-fiction that reads like the best of kind of novel and is another one of my favorites from 2017. Brown Girl Dreaming, written and read by Jacqueline Woodson (audiobook). I would not normally pick up this type of book on my own, mainly because I no longer have middle grade kids. But, I do listen to the podcast What Should I Read Next on a regular basis and Brown Girl Dreaming was mentioned several times last year so I thought I’d give it a go. It’s the perfect example of why stepping outside one’s comfort zone is a positive thing. Jacqueline Woodson’s award-winning (National Book Award and Newberry Honor) autobiography is children’s literature of the highest order. It’s written in verse, which makes for an interesting reading/listening experience. The story provides a singular, intimate portrait of a young African American girl’s experience growing up in the South and in New York City in the 1960s and early 1970s. Woodson narrates the audiobook and it is delightful. I can’t recommend it enough. True Grit by Charles Portis, narrated by Donna Tartt (audiobook). I stumbled across True Grit as a recommendation to readers who enjoyed News of the World. The storyline for True Grit follows a young self-sufficient and gutsy teen girl named Maddie Ross who is seeking justice for the murder of her father. She hires Rooster Cogburn, a US Marshal with “true grit”, to help her track down her father’s murderer in Indian territory. Shenanigans ensue as you would expect. The first person narrative lends itself to audiobook format and Donna Tart (yes, that Donna Tartt) does a fabulous job bringing the inimitable Maddie to life. This is an often laugh-out-loud funny, sometimes violent and ultimately satisfying story. Jay and I listened to this book during our Cleveland road trip and we both enjoyed it immensely. A Study in Scarlet by Arthur Conan Doyle, narrated by Bob Neufeld (audiobook). The only Sherlock Holmes book I’ve read is The Hound of the Baskervilles, which I listened to through loyalbooks.com and which made my Sleeper Hits list for 2016. A Study in Scarlet is the first book in the Sherlock Holmes catalog and details how Dr. Watson and Holmes began their partnership. The mystery begins with a murder in an abandoned South London townhome which baffles the London constabulary and intrigues Holmes. There is a very interesting story about the beginnings of Mormonism within the story of the mystery that I found fascinating. I also appreciate the tidy and believable resolution to the mystery. I like Doyle’s writing – it is very accessible and surprisingly descriptive – and Bob Neufeld’s voice is perfect for an aging Dr. Watson. I think I need to read more Sherlock Holmes. Code Name Verity by Elizabeth Wein, narrated by Morven Christie and Lucy Gaskell (audiobook). This is a gut-wrenching piece World War II spy fiction which revolves around the friendship of two young English women. The first half of the book is told by Queenie (code name Verity) through a confession she is writing for her Gestapo captors. The second half of the book is told through the writings of her friend Maddie, an Air Transport Auxiliary pilot who crashed with her in France. The compilation of both accounts provides insight into the girls’ close friendship, highlights some of the roles women played and the sacrifices ordinary citizens made during WWII, and fleshes out the ugliness of war and its impact on the individuals involved. This is an unforgettable story and I find myself returning to it again and again. Be forewarned, though. This isn’t an easy read (or listen). It’s about war, after all, so expect some very difficult passages. Himself by Jess Kidd, narrated by Aiden Kelly. Himself wasn’t even on my radar when my mom suggested I give it a try at the beach last summer. I suppose this would be labeled a murder mystery but that feels like such a restrictive descriptor. The main character, Mahony, is an orphan who grows up in Dublin to be a charming car thief. He is also gifted with the ability to see ghosts. When he receives an anonymous note suggesting his mother may have been murdered, he decides to go to his birthplace, Mulderrig, to snoop around. There he meets a very eccentric cast of characters, living and dead, who either help or hinder his search for the answer to his mother’s disappearance. Why did this book make my Sleeper Hits list? I loved the lush, lyrical writing – it felt very Irish to me. The characters were unique, likable (for the most part) and often very funny. And the plot was unexpected and absorbing. I enjoy ghost stories and magical realism and I don’t mind a little darkness mixed in with beauty. This book really worked for me. As you can see, I may be slacking in the blogging arena but my reading life is on fire. I’m looking forward to discovering new Sleeper Hits in 2018. How about you? Do you have any Sleeper Hits you’d like to share? 1) I expect a book to be exceptional and it meets or exceeds my expectations (i.e., All the Light We Cannot See or The Poisonwood Bible). 4) I expect the book to be good/great and it turns out to be much better than I anticipated. I call these books my sleeper hits, hence the title and content of this blog post. Of the 83 books I read in 2016, I found 8 books and one series that surprised me in the best possible way. These sleepers encompass several genres, are a mixture of old and new releases and just really tickle my fancy. I can’t help myself – I have to share. The Book of Lost Things by John Connolly. The premise of the story – an angry, grieving boy finds a portal to a magical kingdom and strange adventures ensue – was enough to draw me in. Beautiful writing, the unexpected and satisfying growth of the main character, and an insightful look at the complexities of “good versus evil” elevated my reading experience substantially. Plus, I loved all the fairytale references. It’s a rather dark and sad, but ultimately redemptive story and reminds me a bit of Neil Gaimen’s books. The Hound of the Baskervilles by Sir Arthur Conan Doyle. Audiobook read by Bob Neufeld (free at Loyalbooks.com). I chose the Loyal Books audiobook of The Hound of the Baskervilles to fulfill the murder mystery requirement of the 2016 Popsugar Reading Challenge. I expected this book to be enjoyable simply because of its classic status. What I was not expecting was how much I would enjoy the writing and the characters. The setting is so atmospheric and the mystery has a very spooky, supernatural feel to it. I will definitely be reading more from Sir Arthur based on my experience with this book. Ordinary Grace by William Kent Kreuger. The more I read the more I realize how much I enjoy murder mysteries. Ordinary Grace is one of my favorites of the year. What elevated it above expectations is the nuanced sense of time and place, the perspective of the narrator (the younger brother of the victim), and the way faith impacts the thoughts, behaviors and interactions of the characters. I cared deeply for the main players in the story, especially the narrator and his father. Is it weird to say a murder mystery is beautifully written? Probably, but I’m going to go ahead and say it anyway. Ordinary Grace is a beautifully written murder mystery. Read it. 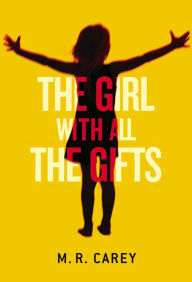 The Girl With All the Gifts by M. R. Carey. Audiobook read by Finty Williams (Audible.com). Apocalyptic scenarios with zombie infestations are not generally my genre of choice but this audiobook was a crowd pleaser for our family trip to the Adirondacks this past summer. Not only was I surprised at how much I enjoyed the story, the caliber of the writing and the philosophical considerations that undergirded much of the tale caught me completely off guard. And Melanie, the girl with all the gifts and the main character in the story, is an absolute pleasure to hang out with. You can read more of my thoughts about the book here. Joyland by Stephen King. I think most people, myself included, associate Stephen King with horror. He does write other stuff and Joyland, which was written for Hard Case Crime, is a great example. It’s touted as a murder mystery with a bit of a supernatural component, but honestly the scare factor is about 2/10 and played a very minor part in the plot. What I really loved about Joyland: Devin Jones (the main protagonist), all the interesting supporting characters, the beach and the boardwalk carnival setting, the storyline, and the skillful writing. I was sad to say goodbye to my Joyland friends. Full review here. Attachments by Rainbow Rowell. Romantic comedy is another genre I tend to skip but I came across Attachments as a BookBub deal and decided to give it a try. What a delightful story! The format is fun (partially epistolary) and the characters are amusing and engaging. The romance, which develops very slowly and is an awkward one-sided one for most of the book, isn’t the main focus of the plot. Instead, Rainbow Rowell spends most of her time on twenty-nine year old Lincoln O’Neill and his difficulties with moving on from a broken heart and growing up. The characters are the best part of this story – I loved meeting them and experiencing them becoming better humans. I never thought I would be writing “quality” and “fluff” in the same sentence but here goes. Attachments is entertainment fluff of the highest quality. I highly recommend it for a happy, satisfying escape from reality. Girl Waits With Gun by Amy Stewart. This book is a fictional account of the real life adventures that propelled Constance Kopp into the position of America’s first female deputy sheriff. She takes on Henry Kauffman, a silk factory owner, whos runs over her buggy and refuses to pay for damages. Constance doesn’t back down even though she lives in a time when women are considered fragile and unable to care for themselves. The eccentric Kopp sisters, the peek into the real gender inequalities of the 1910s, and the suspenseful plot make this a surprisingly gratifying read. I understand Amy Stewart has a second book out about Constance and her sisters. I’m curious to see what else they get up to. 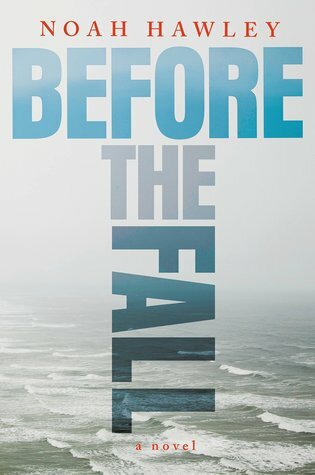 Before the Fall by Noah Hawley. The catalyst that starts this story rolling is a private plane crash that kills all but two of the passengers. The book uses the mystery of the cause of the crash to investigate the lives of the people who died in it and the survivors who are left to deal with the aftermath. I enjoyed the slow unraveling of the mystery, the detailed development of the backstories of the people on the plane, the journey of the main character towards self-acceptance and integrity, and the relationship between the main character and the little boy he saves. Significant character development and growth, solid writing, and the believable resolution of the mystery made this a sleeper hit for me. See my review here. The Cormoran Strike series by Robert Galbraith (a.k.a. J. K. Rowlings). These murder mysteries are reading entertainment of the first order. They are well crafted, suspenseful stories with a very strong narrative drive. What surprised me the most, though, was how invested I became in the main characters, Cormoran and Robin, and their working relationship. I binged on the whole series of three books last September and can’t wait for the next book to be published. A bit of good news – the BBC is making a mini-series out of the first three books which will supposedly air in 2017 on HBO. I can’t wait! Well, that was a fun walk down memory lane! Dune by Frank Herbert. Lifeless and boring. Even though it’s a classic and on most must-read book lists, I just. couldn’t. do. it. The Adventures of Huckleberry Finn by Mark Twain (audiobook). Huck can tell some whoppers but he’s got a good heart. The Good Girl by Mary Kubica. It’s hard to put this book down and go to bed! It’s been a satisfying year of reading so far for me. What good stuff have you been reading lately?